Premier was co-founded by Dilwyn Howells, Nigel Williams and Terry Edgell. The three entrepreneurs decided to put their skills, experience and ambition in the timber industry into their very own venture; Premier Forest Products Ltd was born and the first official day of business commenced on May 1st. After spending the first month working from Terry’s house in Cwmbran, the trio moved into a unit on Darren Drive, Abercarn. 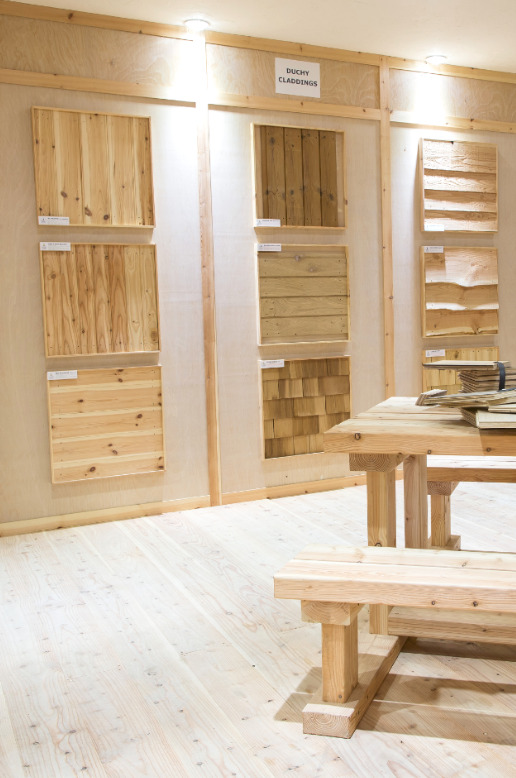 By the end of year 1, Premier Forest Products had sales of £1,672,194. Premier grew further and moved to the Severn Bridge Industrial Estate, Caldicot, and by the end of the year, turnover had grown to £3 million. Premier moved to Alexandra Dock, Newport, where the headquarters still stand today. Premier Timber & Builders merchants Ltd is also set up at this time in Diglis Dock, Worcester, as a sister company, operating out of a 36,000 sq ft warehouse offering a drive through facility. Premier invested £2m into a 30,000 sq ft warehouse and office in Birmingham, giving their plans for expansion further leverage by establishing a base in the midlands and north. With turnover now increasing to £20 million, Premier found itself making it into the Wales Fast Growth 50 awards – awards that recognise the fastest growing businesses in Wales. Turnover rose from £30 million to £58 million during this time, giving Premier Forest Products an even firmer foothold in the Fast Growth 50 awards in 2009. Premier acquired the assets of RKL Plywood in 2011. Premier proudly purchased Brooks Group – Ireland’s oldest and largest builder’s merchants/timber suppliers. This expansion saw turnover increase to £60 million. Premier buys The Ornamental Iron Shop and this becomes a division of Premier Forest Products Ltd – Premier Processing and Fabrication. Premier acquires Dublin Plywood and Veneer company; a specialist independent importer and distributor of sheet material and laminates. Premier purchased Ron Lewis Holdings, Clarks Wood and Goldberg. The Premier family grows further in when it purchases the Crospenamaen Ind Est sawmill, in Crumlin, from the Border Group Ltd.
Kernow Timber Ltd, trading as Duchy Timber and Sawmilling, was founded in 1958 and Premier added it to their team in 2015 – helping push Premier past its £100 million turnover milestone in the process! Premier purchased the Jeffrey Walker & Co Ltd sawmill and Premier Forest Doncaster is born. During this time, Premier also opened up Mill Timber Direct – a retail outlet adjoining their sawmill in Crospenamaen. Premier Forest Group signs a lease at Langley Park Slough, to develop sales and re-site the Y Goldberg Business. Premier makes another exciting acquisition in Merlwood Timber Importers & Merchants, adding a West Walian branch to its growing group and increasing the product offering.